The Ordway in downtown St. Paul is a world-class performance venue and one of the Twin Cities’ most beautiful gathering places. So when the four artistic partners that use the facility asked us to replace a small underutilized theater space with a 1,100-seat concert hall that could expand programming options and impress the finest musicians working today, the prospect was daunting. The setting had to be elegant. The acoustics had to be perfect. 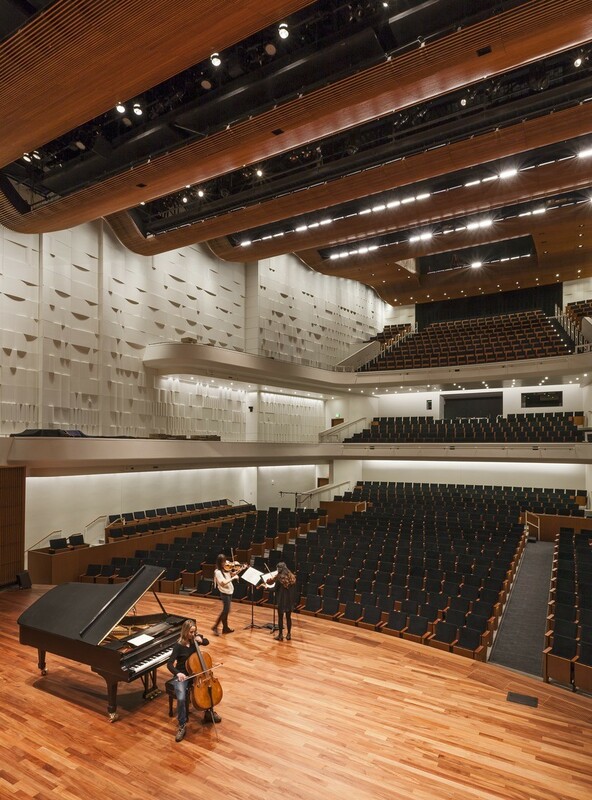 Numerous conversations with artists and musicians helped inspire and shape the design process, resulting in a hall that literally wraps the audience around the artists. For performers and patrons alike, the experience is both physically intimate and acoustically superior. 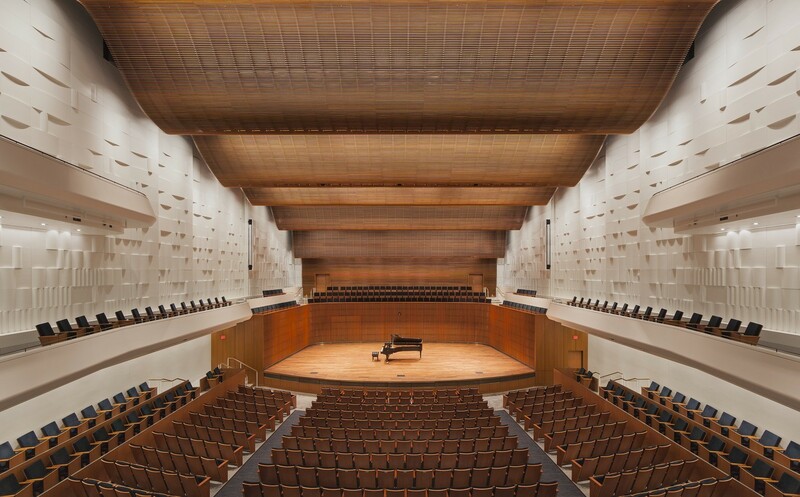 The sumptuous aesthetics of the room, trimmed in rich mahogany panels, and fluted white-gypsum panels, are matched only by the sound—warm, resonant, and clear, whether it’s the roar of a Wagnerian chorus or the softness of Satie piano solo. The project maximized capacity on the Ordway site, adding approximately 50,000 new square feet to the existing facility. 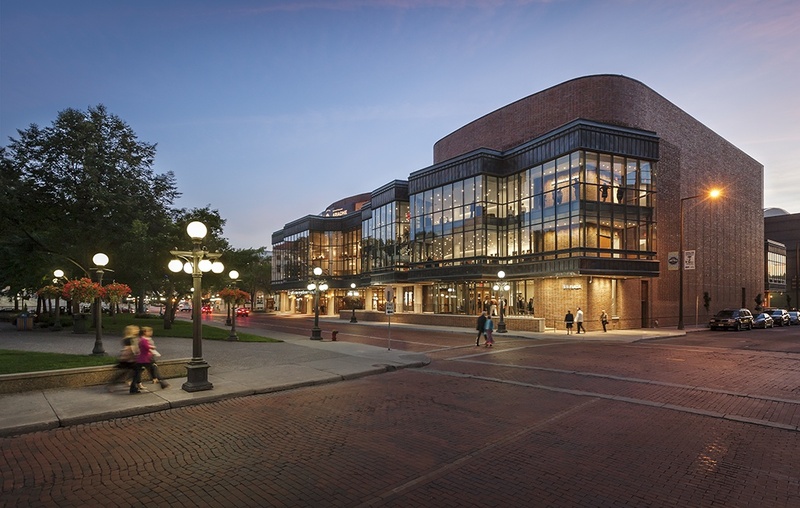 What’s more, the addition connects seamlessly with the center’s existing multi-tiered lobby and preserves and increases access to the celebrated views of nearby Rice Park and other iconic landmarks.